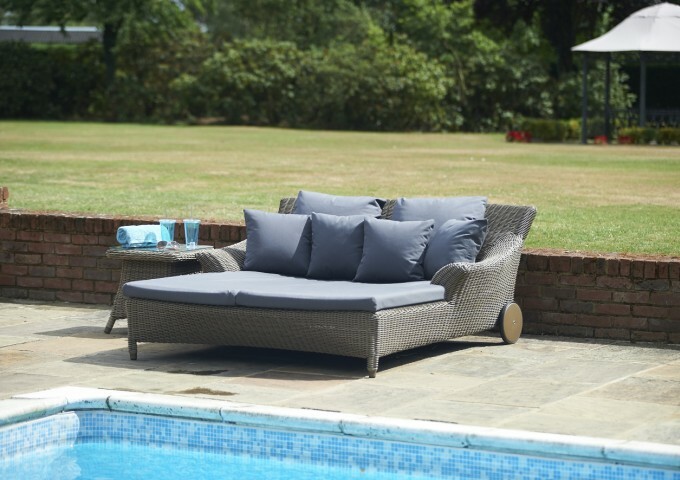 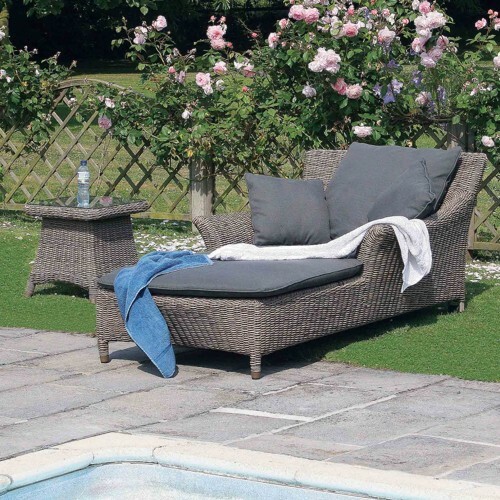 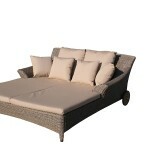 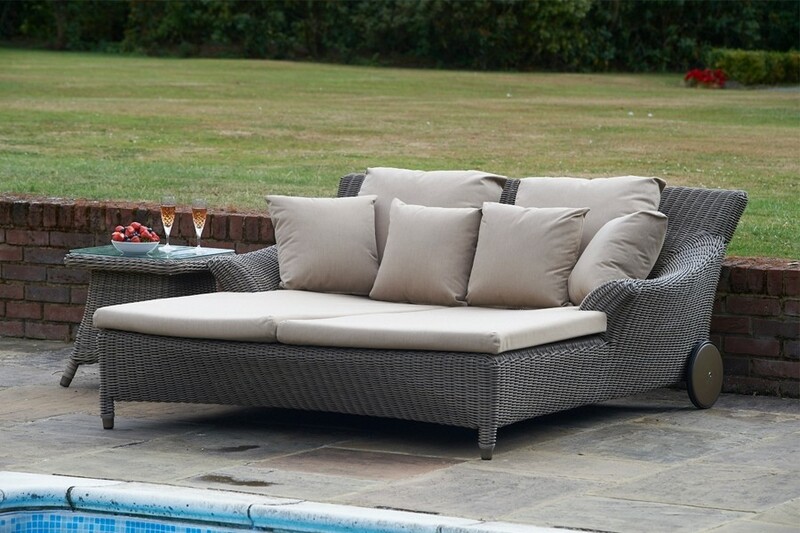 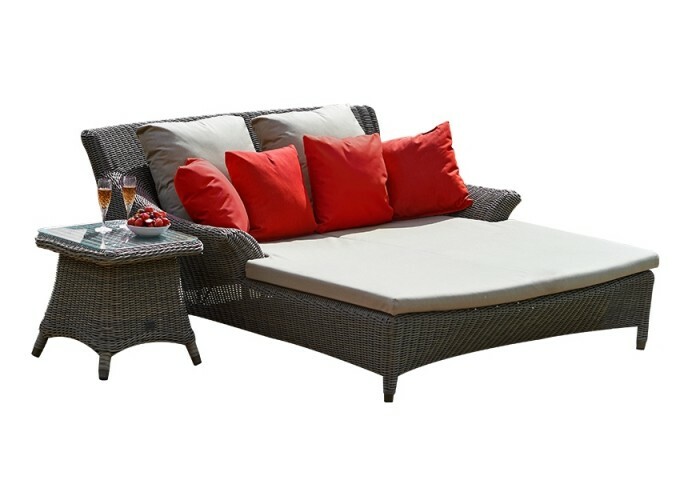 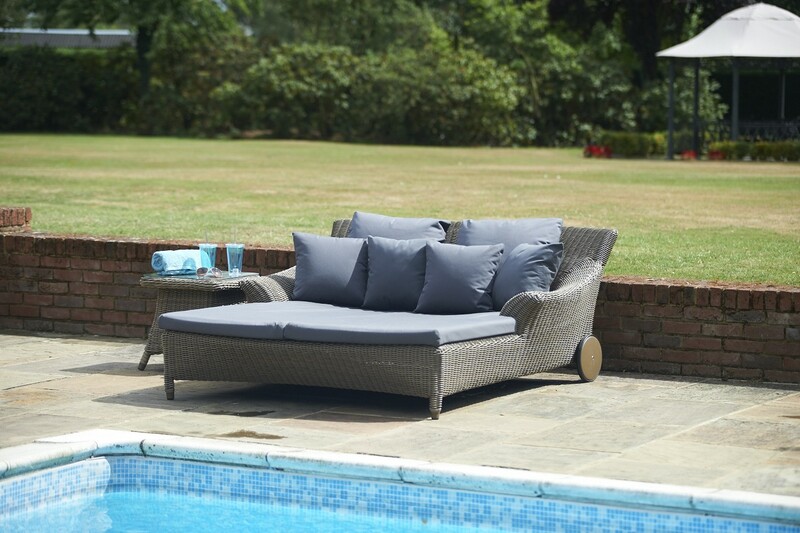 This beautiful lounging set comes complete with Bridgman Valentine double sunbed and a Brighton Square Side Table. 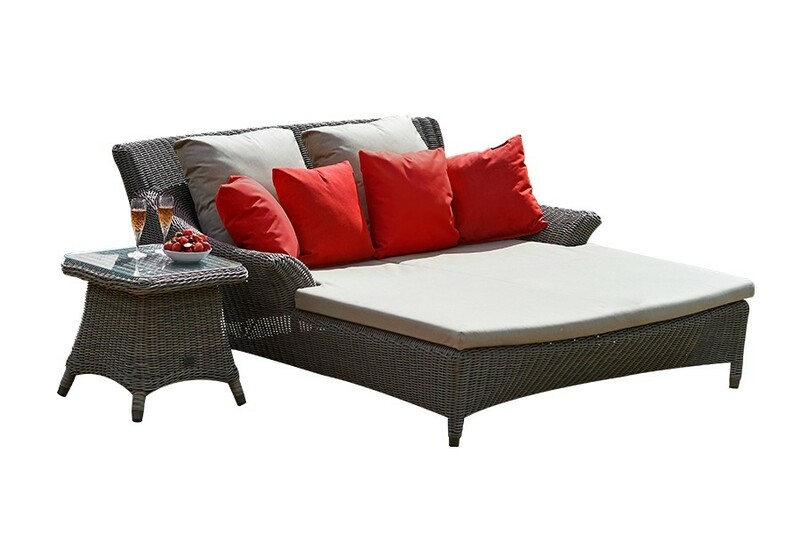 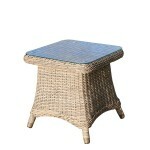 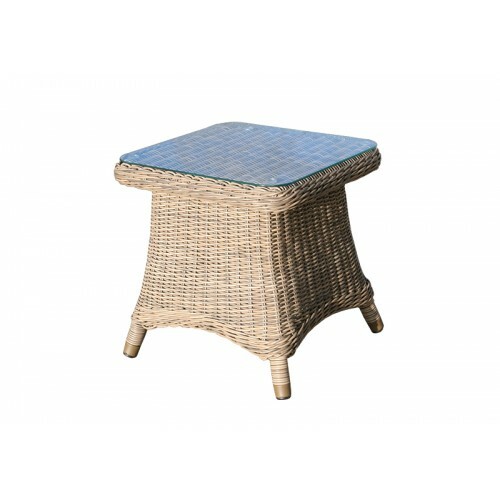 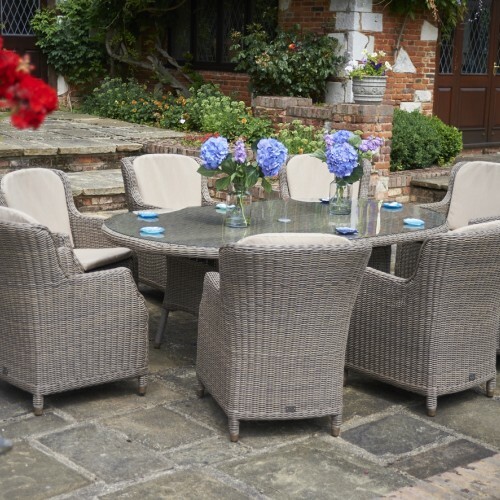 Suitable for two or more people and constructed with the finest rattan mixed with aluminium makes this set long-lasting and maintenance free. 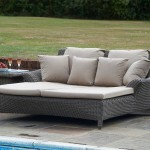 You can leave this set outside all year round without a worry. 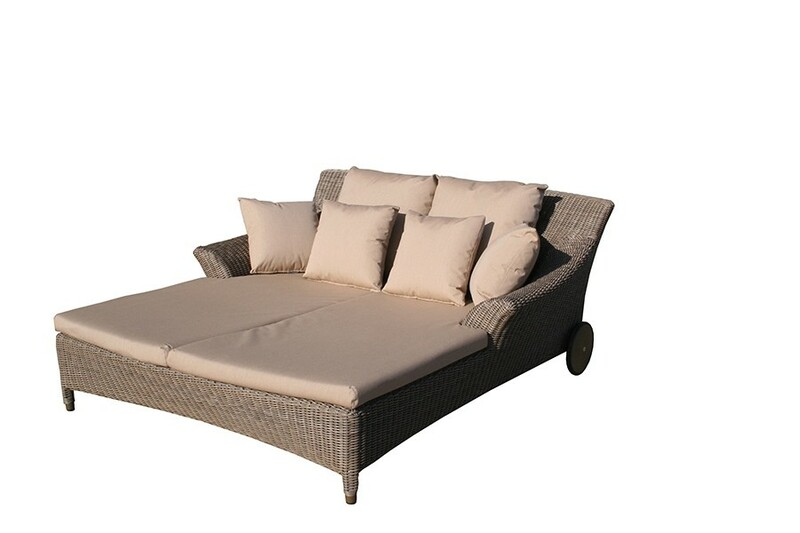 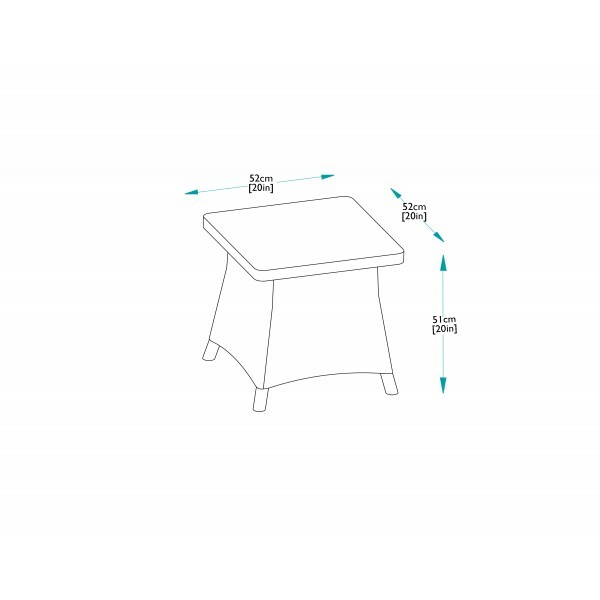 This romantic sunbed has eloquent curves and provides extreme comfort. 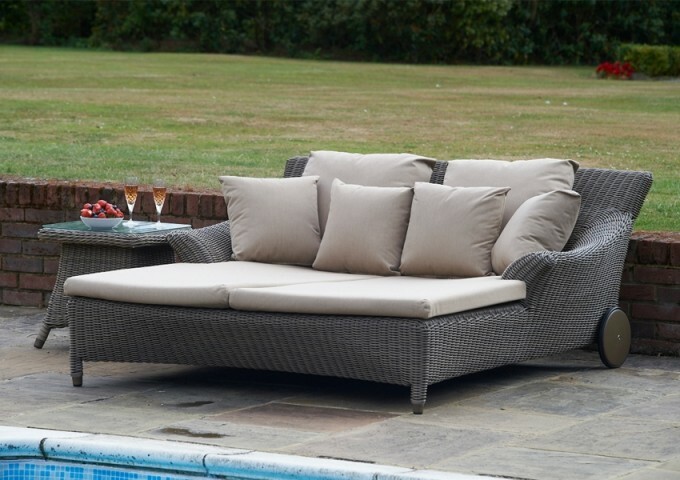 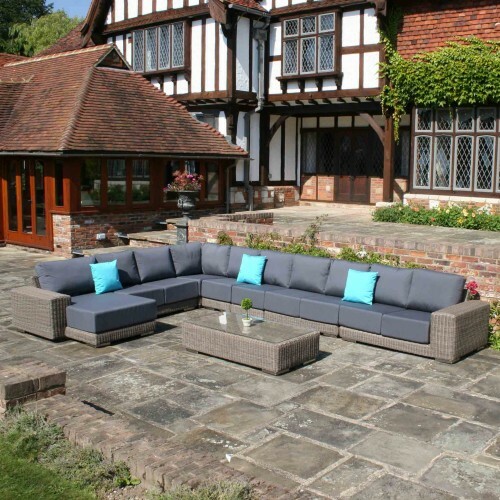 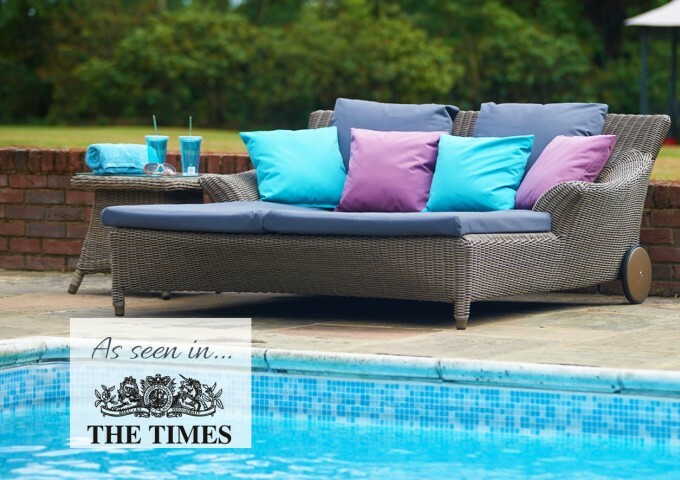 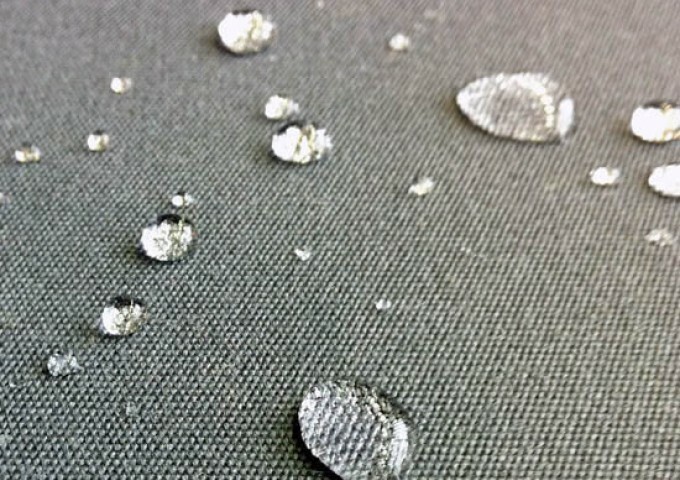 With sumptuous fully waterproof cushions that are in a choice of either beige or grey (2 seats, 2 back and 4 scatter cushions). 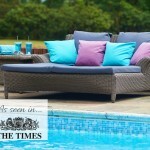 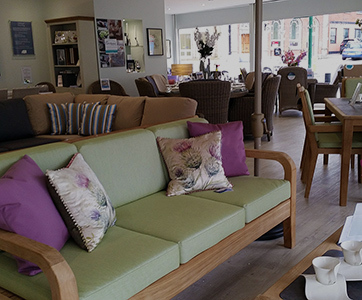 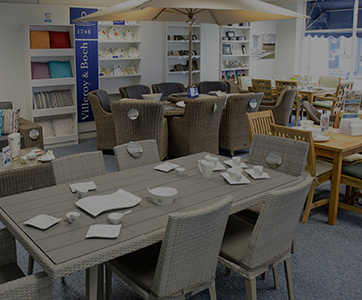 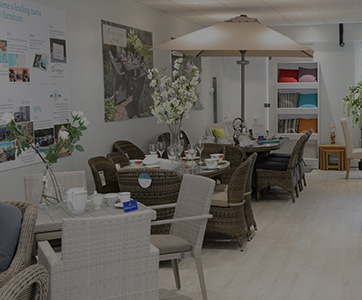 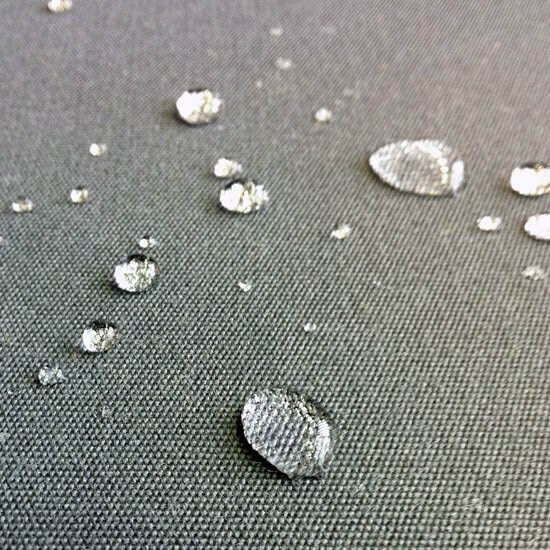 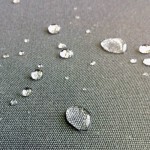 Please contact one of our sales staff or showrooms if you would like to change the colours of the scatter cushions. 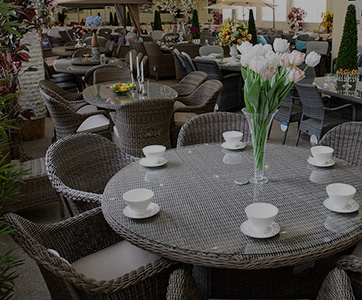 Colour, sturdiness, style, delivery & customer service. 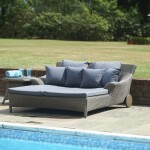 Best we have had in 17 years of buying outside furniture for various houses! 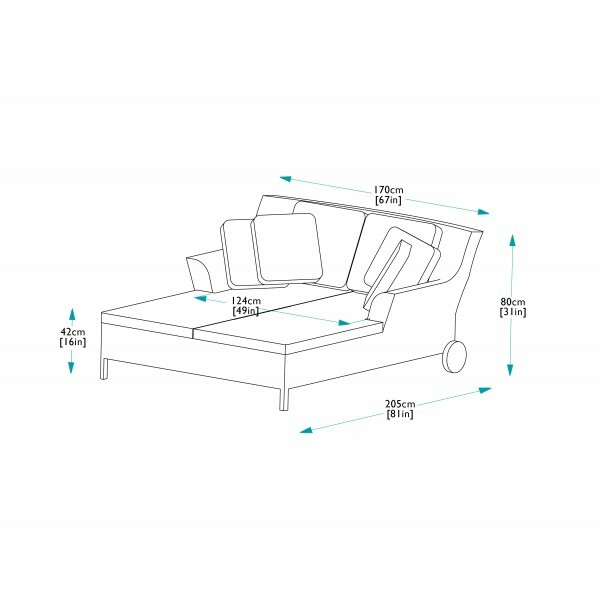 Carry on what and how you are doing things. 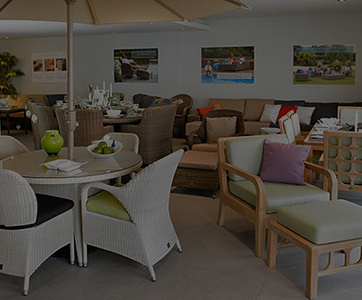 Very impressive and a joy to look at throughout the year on our terrace. 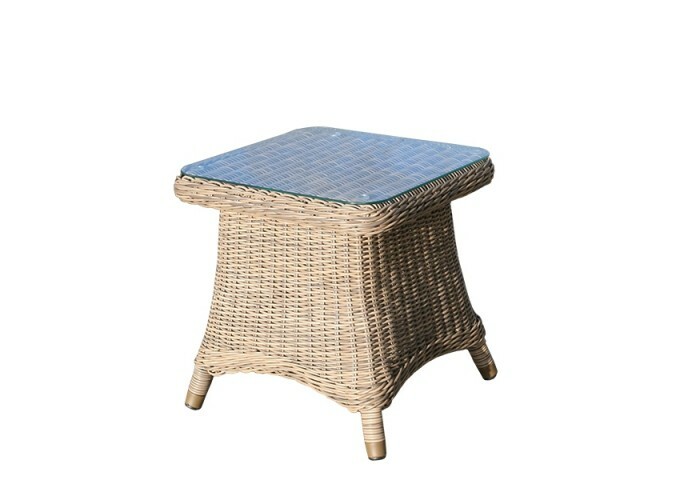 Well done."